Last August, the Greater Waco Advanced Health Care Academy opened its doors to an inaugural class of nearly 80 students. These high school juniors and seniors came from 10 area districts to take classes that would help them prepare for a career in the health care field. On any given day, you’ll hear sounds of heart rate monitors resonating throughout the simulation lab at the Greater Waco Health Care Academy. In this room, inside the newly renovated Vikings Hill elementary, there are two rows of hospital beds, 13 in total. In each bed there’s a mannequin. Some are programmable – meaning instructors can manipulate them to test students – and some are geriatric, allowing students to learn how to properly care and handle elderly patients. It's in this room, before a touring group of students from La Vega High School that Health Care Academy assistant director Krystal Wilson demonstrates how the programmable mannequins work. Within their first year, students at the Health Care Academy do clinical rotations at nursing homes. By their second year, they’re in hospitals, gaining experience in different units like the neonatal intensive care unit. Their rotations are part of a unique collaboration with local hospitals and community partners. Brandon Cope, director of the Greater Waco Academies says the Health Care magnet and it’s companion school GWAMA operate as a multi-district magnet school. Like GWAMA, the driving force behind the Health Academy was simple: There was a need for well-trained students ready to enter the workforce. When students graduate from the Academy, they’ll have the background and knowledge to become certified nurse assistants. For some students – like those in this year’s Advanced CNA course – local hospitals have even offered them a position upon graduation and certification. Students – like Cristina Marquez, a senior at Waco High – will use the skills learned here to have a leg up on the competition. She says she became interested in the health care field, when her father was in the hospital and she witnessed the care and support the nurses and doctors provided her family. Back on the tour of the campus, interested students are getting a look at the Health Care Academy’s other facilities, which include a phlebotomy lab where students learn how to draw blood, using life-like mannequin arms, a computer lab, and even a locker where they can change into their nursing scrubs. It’s all modeled to reflect the environments and scenarios that students would experience in an actual hospital. Even their teachers are former nurses. Wilson says this design helps the Academy offer students with everything they need for a future in health care. “My goal is to provide all of my students with information so they can make good decisions without wasting time, energy or money, regardless of the path they wish to take", Wilson says. For 17-year-old Dwhytyierherny Coleman, the path she’s on will eventually see become a certified nursing assistant, but it’s the short term she’s still figuring out. “My next step after this is to become a CRNA. I plan on going to Sam Houston, but I actually just got an acceptance letter to [McLennan Community College], so I kind of want to do that. But I want to go to Hillcrest and work on renal. In the fall, the Health Care Academy hopes to see more students like Coleman comes through its doors. Right now they have about 85 applicants and are hoping to get about 200 come August. In 2013, the Greater Waco Advanced Manufacturing Academy opened its doors to an inaugural class of nearly 70 students. Since then that number has more than doubled. 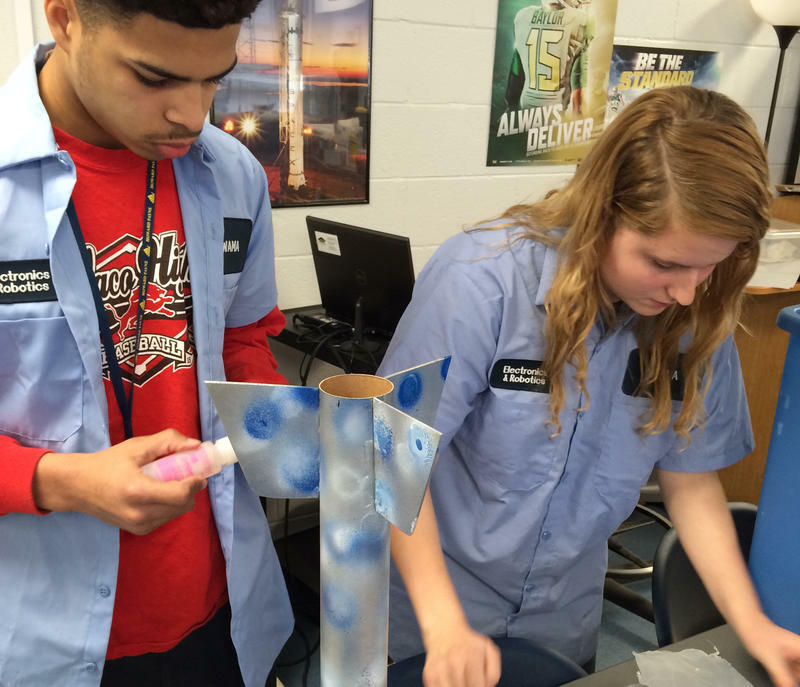 The school's administration sees this growth as a reflection of the resurgence of vocational education. The high school juniors and seniors that attend the academy learn about things like robotics, electronics and even get welding experience. 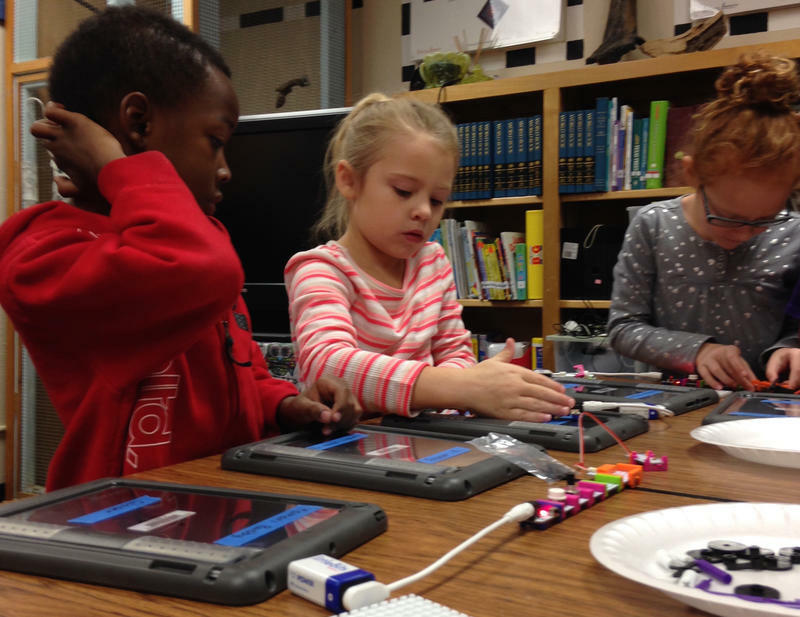 When you hear the phrase "makerspace," you can probably take a guess at what it all means. It’s space where you make things, but it’s not quite your parents’ workshop class. Yeah, there are tools and a workbench, but there’s also a lot of high-tech gear - and it’s all recently come to Midway Independent School district.